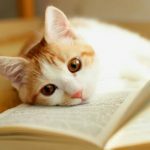 The best cat enrichment toys will keep his brain and body busy. But it can be hard to work out which style will be the perfect fit for your kitty. Fortunately, we’ve done the legwork for you! Cats love toys, especially the kind that they’re hardwired to be attracted toward. Like fluttering feather wands and furry squeak mice. Cat toys are meant to be entertaining, but not all cats love all toys equally. The best cat enrichment toys for my cat, might not be the best cat enrichment toys for yours. What Does Your Cat Enjoy? Some cats consider a whiff of catnip to be an ultra cool cat toy, while some literally turn their noses up at the crinkly green stuff. My tabby cat Fuzzy is a technophobe: electronic cat toys send him running. Is he afraid of the whirs and beeps and flashing lights? Or is he simply a low-tech kitty with simple tastes? He isn’t saying, but I’ve made careful note of his personal preferences since I have a pile of battery-operated toys he wants nothing to do with. Silly kitty, even the best electronic cat toys he eschews! A cat string toy or cat wand toys are much more his thing. I’ve no doubt that your cat, too, has a preference for certain playthings. Does he like chasing a mechanical cat toy that scurries across the floor? Or does a crinkle cat toy bring on fits of whirling dervish-nish? Maybe she adores fishing out treats from interactive cat toys that dispense snacks? Just like us humans, cats have their own tastes and sensibilities when it comes to life’s pleasures. Age, personality, and upbringing all factor into your moggie’s play preferences. But before we explore the best cat toy options, do cats actually need toys? It turns out that cats do need toys. Especially cats that live out their entire lives indoors as many cats do these days. Cats have a strong need to carry out behaviors that simulate their role as a predator. And may develop health and behavior problem when deprived of outlets for these instincts. That’s why you’ll find many cat toys are designed to help them pretend to hunt. Of course, there is still room for individuality. Some cats are irrepressible acrobats, some prefer to sit and chew on pretend mice tails, some fancy puzzling over brainteaser toys. Is your kitty a dreamer or a doer? 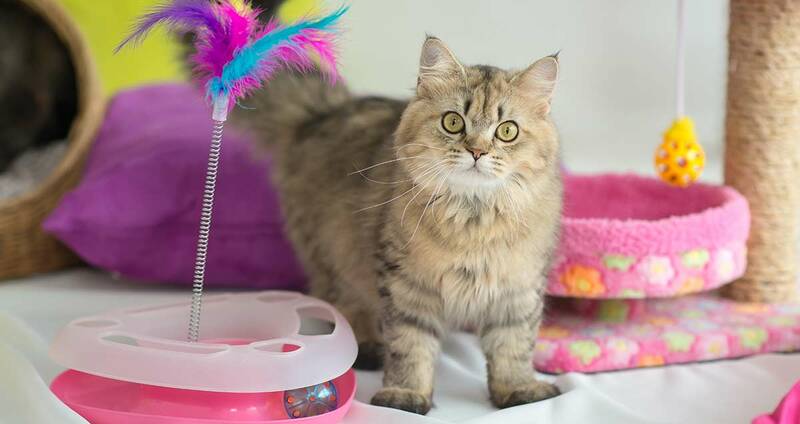 Whatever her outlook on life, doesn’t she deserve to have a few stimulating cat toys handpicked just for her? 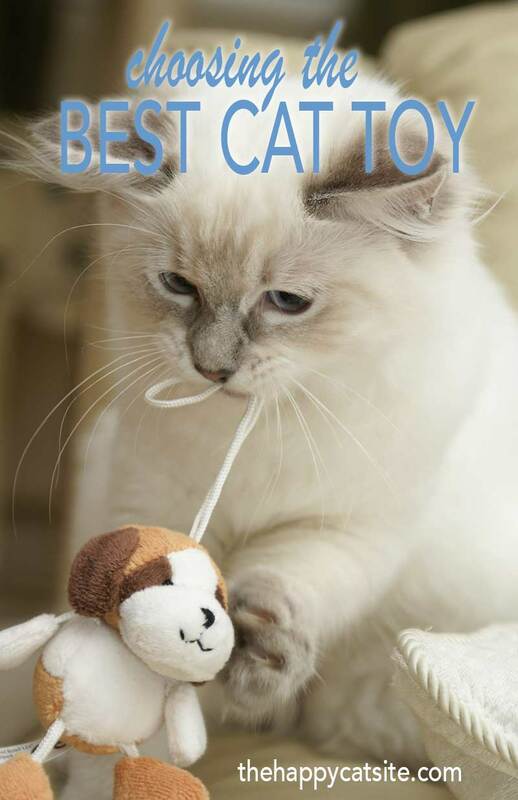 How do you determine the best cat toys for your moggie? After all there are tons of playthings designed to keep our furry friends fe-line fine. If you’re not sure which of his current toys are getting the most use, think about the other “playthings” your kitty likes. Does your kitty like to climb the curtains? Scratch the sofa arms? Chase after scuttling feet? Bat around crumbs on the floor? If you answered yes to any of the above, rest assured that there’s a much more suitable toy available to fit his fascinations. 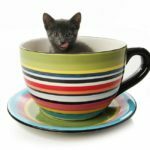 In order to help you match the perfect toy to your cat’s wants and needs we’ve reviewed a variety of toy types. When it comes to the best cat enrichment toys, it’s hard to beat a laser. Whatever stage of life or state of mind that your cat is in, a laser light show is sure to enthral him and get his heart rate up. The moving laser simulates the chase part of the predatory sequence. Arguably the bit that the cat enjoys the most. There are hand-held pointer models, all the way up to sophisticated machines with multiple settings. Chasing laser lights is a terrific way to get a little exercise into your cat’s daily routine. The PetSafe Bolt Interactive Laser Cat Toy is ergonomically designed. Aspace-age looking gadget, it comes with an adjustable mirror that enables you to point the red laser across various surfaces. Because safety comes first, the laser will turn itself off after 15 minutes (plenty of time for your cat to get his game on!). The device uses four AA batteries. The pocket-sized iGearPro Chase Cat Toy silver pointer is the traditional laser point we’re all familiar with. The compact hand held pointer requires just the push of a button to entrance your cat with a mysterious beam of red light. The stainless steel finish is tough enough to withstand lots of play and the pointer comes with its own Mini USB Cable. Does your cat like to chew on inappropriate items like Christmas trees and twist ties? Cat chew toys can be a great addition to your cat enrichment toys basket. They help your cat enjoy the final part of the predatory ‘chase, pounce, grab’ sequence. 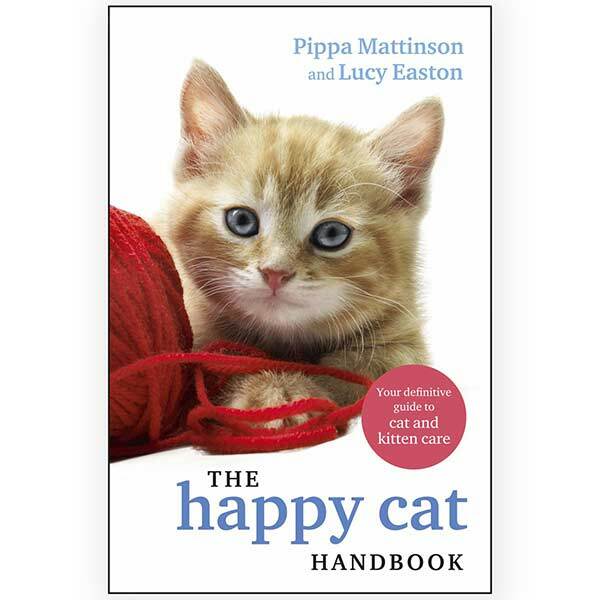 Cats both young and old will enjoy a bit of self-directed (and sedate!) playtime with these kitty chew toys. The Petstages Catnip Plaque Away Pretzel is a great multi-tasking cat toy! The pretzel shaped chew toy is covered in soft netting that helps scrape away plaque and tarter from your cat’s teeth. In addition, a healthy dose of catnip will have kitty coming back again and again for more play. If you’ve ever seen a cat gnaw down on an oh-so-carefully decorated Christmas tree, then you know that dogs aren’t the only house pets who love to chew on things they shouldn’t. The CatTwig Organic Silver Vine Catnip Alternative Stick Toy is a great distraction. Kitty will love biting, chewing and licking these unprocessed and 100% natural silver vine sticks. As an added bonus the sticks have the potential to clean kitty’s teeth and stimulate gums. Whoever said less is more wasn’t talking about cats and mice. Obviously. Just ask Tom and Jerry! Kitties love the thrill of the chase and these mice toys will help him to harmlessly channel his hunting instincts. These Petedge 10 Rainbow Mice Cat Toys with Real Rabbit Fur rattling, rabbit-fur mice are extra nice since they come ten to a pack. Approximately 3 inches long, they will satisfy kitty’s desire to hunt without all of the messy side effects. The nifty Paws & Pals Cat Toy Interactive Training Exercise are the best cat enrichment toys to satisfy two of your cat’s favorite instincts: scratching and hunting. A handy (pawsy?) scratch pad sits atop the toy, and a rotating mouse spins away inside. It’s made from BPA free plastic and can be returned for a full refund, for whatever reason. Hundreds of cat parents gave the Our Pet’s Play-N-Squeak “Mouse Hunter” Cat Toy all too realistic looking brown fur mouse top marks. It’s almost two inches tall, and has a suitably long tail for biting, as well as authentic curled up ears atop its furry head. Did I mention the best part? It lets out a squeaky croak each time your cat pounces! Should catnip be regulated? The way it sends some cats into a frenzy, followed by an uber-mellow daze, makes one wonder! 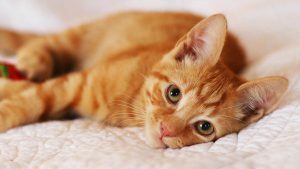 Catnip is a safe herb that some owners grow in the backyard or atop a kitchen countertop, and freely share with cats who get a kick out of it. It’s a most clever way to give your cat a zero-calorie treat! Hundreds of happy pet parents give this adorableOurPets Cosmic Catnip toy top marks. Filled with catnip grown in North America, it comes in seven delightful designs including a carrot, fish, snake and cactus. And what about the SmartyKat Catnip Cat Toys. This exciting two-fer toy features three soft fishies filled with both catnip and a crinkle toy. The fish are the perfect size for biting or chasing. The catnip is both pesticide and chemical free to keep your cat jazzed and happy. Kong toys are king when it comes to value, quality and long-lasting entertainment. This petite KONG Refillable Catnip Cat Toy little plush has a refillable inner container. Your cat’s nip will always be fresh, and there is a choice of character designs including an adorable little bear in pajamas! Having a catnip toy but no catnip to fill it with is like receiving an awesome toy for Christmas, but someone forgets the batteries! Kong offers Kong Natural Catnip. An economical, high quality dried option in your choice of several sizes and packages. The herb is grown in North America only, and the company has seen fit to throw in a bonus toy! Most cat puzzle toys involve a food reward; after all who wants to work for free? These are some of the most ingenious puzzle toys, including cat feeder toys, perfect for keeping your cat’s brain cells active and stimulated. Several distinct games are featured in Trixie Pet Product Fun Board for Cats. A variety pack of a puzzle, located on one convenient tray. In an interesting twist, both liquid and solid snacks can be used with the specially designed board. When it comes to entertainment this is one of the best cat enrichment toys in terms of sheer quantity of play value. The Catit Design Senses Play Circuit, Original is an economical, hide and seek plastic track with balls. Now he sees the ball, now he doesn’t! In addition kitty can stick his paw into various track openings, stimulating his hunting senses. The tracks can be refigured for continually new designs, and additional tracks can be purchased. Most cats are entranced by the wisp of a fluttery feather. One year Fuzzy received some long, exotic, glossy peacock feathers that’s he’s still happy to bat at. These toys will provide tons of mild exercise for your moggie, and safely satisfy his hunting instincts. If you’d rather set down a toy for kitty to explore on her own, why not try this ingenious Go Cat Kitty Kopter upright feather toy that’s made in the US? Recommended by vets, it stands 8 inches tall. Several feathers stand atop a rolly ball that kitty can knock down again and again. How about the Bascolor Cat Toys Interactive Electric Rotate Feather Toy? Like the previous toy, your cat can play with this one all on her own, but it’s got an added element of sophistication. Two AA batteries will power the base causing the feather to spin around and around on its own. Or, you can pull the wand out and interact with kitty for hours of fun. In addition the hollow base holds a ball and/or you can add a bit of catnip for added interest. Cat spring toys resemble an outstretched Slinky toy. Springs are definitely one of the best cat enrichment toys. The unpredictable movements of the stretchy springs leave cats fascinated and wanting more! Plus they are light and easy to bat about. This is a good choice for kitties who need to burn off a little rambunctious energy throughout the day. This two pack Categories Catty Coil Spring Action Cat Toy has different colored, velvety springs that serve to engage kitty’s mind as well as her paws. She’s sure to get a good work out flinging and chasing these wiry wascals. These colorfulEthical Pet Spot Cat or Kitten Colorful THIN Springs measure over 6 inches long and are available in packets ranging from 10 to 100 pieces. No matter how many cats you have, 100 spring toys are sure to keep each and every one of them occupied! Cats love to play, they love to scratch, so what could be better than a toy and scratcher all in one? 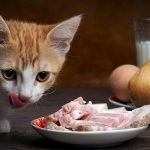 If you have trouble keeping your cat’s claws out of the furniture, you can teach him to use one of these fun alternatives instead. Catit Play ‘n Scratch Cat Toy is a corrugated cardboard circle sits in the middle of a circular tunnel. It holds a tempting plastic ball. But that’s not all—a spring loaded fuzzy ball sits off to one side of the brilliant value packed toy. Both kitty’s mind and body are sure to be engaged in hours of fun! Just over a foot in diameter the toy comes in your choice of colorful hues. The Way-Seven Cat Scratcher Smiling Face with Catnip is a funny item. Is it a scratcher? Is it a toy? Actually this cute roly-poly contraption is two pieces of pure fun! The manufacturers have taken a scratcher covered tunnel and popped into it a removable scratcher insert: genius! Kitty can scratch it, climb it, and even take a nap in or on it. If for some reason kitty doesn’t like it, you can return for a full refund. Fuzzy has had a Petlinks Floor Cat Scratchers Dream Curl scratcher toy for years, and he still uses it. First he furiously scratches the sisal end, then he rests his tired head on the opposite, carpeted end for a quick snooze. A cute little feather dangles from the middle, with just the right amount of catnip to be enticing but not overwhelming! 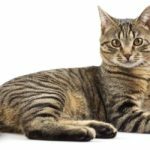 What is the best cat toy for my cat? Every cat deserves a few of his favorite toys to play with! And research has shown us that the right toys can enrich our pet’s environment, improve his health , and keep behavioral problems at bay. You may think that all cat toys are equal: equally fun, stimulating, and suitable for your unique cat’s play style. But not all cats are alike in temperament, personality, needs, and wants. What one might find fascinating, another may find supremely annoying: not every cat loves having feathers foisted upon them! The best cat toy is one that keeps your cat happy, and the chances are this will involve some kind of chase and grab routine. You may have to experiment a bit to find out which aspect of this your cat enjoys the best. You will get to know better than anyone what your cat likes and dislikes. Felines have such a fine-tuned way of communicating their needs, don’t they? We hope our reviews have given you some fresh and interesting ideas to supplement your moggie’s toy box. Does your favorite feline have a go-to toy? We’d love it if you shared your ideas with us in the comments section below! I have had two cats that really liked a “bendy” straw for their favorite toy. Both cats liked to bite the straw, then launch it into the air, catching it in their mouths.